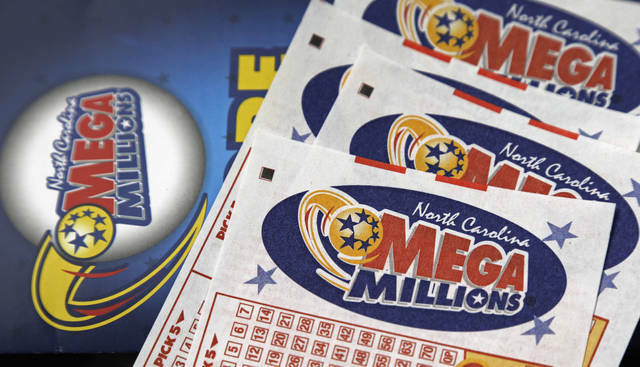 Mega Millions lottery tickets can be seen on a counter at a Pilot travel center near Burlington, N.C., in 2016. After nearly three months without a winner, the Mega Millions lottery game has climbed to an estimated $654 million jackpot. DES MOINES, Iowa — The Mega Millions prize was already giant, but now it’s absolutely massive. Lottery officials have raised the estimated jackpot for Tuesday night’s drawing to $667 million, making it the third-largest grand prize in U.S. history. The increase from $654 million reflects a surge in ticket sales. The record lottery jackpot remains a $1.6 billion Powerball prize won in January 2016. Although the Mega Millions prize has grown larger, the odds of winning remain the same at one in 302.5 million. The $667 million jackpot refers to the annuity option, paid out over 29 years. The cash option, which is favored by nearly all winners, is $380 million. Mega Millions is played in 44 states, Washington, D.C., and the U.S. Virgin Islands, including Ohio.